What is your starting, current and Goal weight? Well, where do I start? I am the fourth in a family of 5, married to an amazing man and still in honeymoon phase, meaning no kids yet. I am an Electrical Control Systems Engineer, which is just a fancy name for controlling electrical systems using programs. This involves lots of site (factory) work during implementation phase of projects. 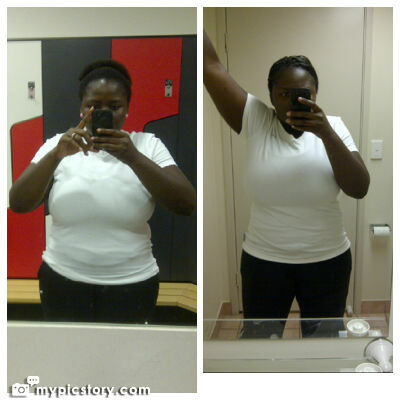 I’ve been on this journey on and off for years but really became serious about it on the 2nd of Jan, 2013. My mum started her weight loss journey to combat health issues and urged us to join her as she saw instantaneous results in eating healthily. I did not want to be the Fat on in the family photos, and more importantly, for overall health. Like I said earlier, I have been on this journey for years, but what I lacked to sustain me previously was support from like-minded people on the same journey. 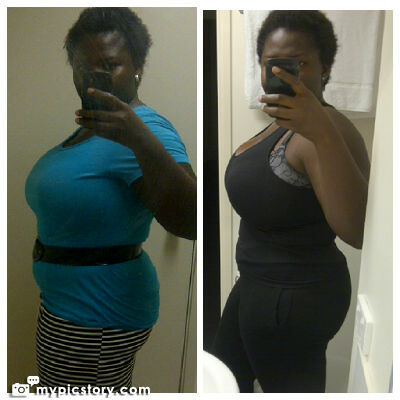 Joining the African Weight Loss forum and subsequently WLB as a BB group has been invaluable in keeping me on track. The hubbys smile as the dress sizes drop is also a great motivation. 5. What is your typical day in terms of exercise and eating? Most days (I do have off days when things do not go according to plan), I wake up bright and early, and do some home exercise DVD (Insanity program or Hip Hip Abs by Shawn T, Shred by Jillian Micheals or Teabo work out). In the evening, (3 times a week) I visit the gym for anytime between 50mins to an 1hr 30 mins, depending on how busy the day was, and that will consist of some cardio, kettle bell training, floor exercises (ab workout) and weights. I am much fitter, and clothes fit much better. No more shopping at plus size sections with limited options. 7. How do you keep the weight off in order to maintain a healthy lifestyle? My sweet tooth is being catered to by fruits (in moderation) and I try to eat regularly without skipping meals. I do eat what I enjoy, but make it a point to try healthy variations of the meals. I also eat a lot more vegetables and proteins. I learnt to listen to my body, if it is too full, too tired or too hungry, it tells me. 8. What diets have you tried? If there is something called the starvation diet, I have tried that. LOL. I have attempted Atkins as well. These dint last very long, when the convulsions started no one told me to look for some rice and bread to eat. 9. 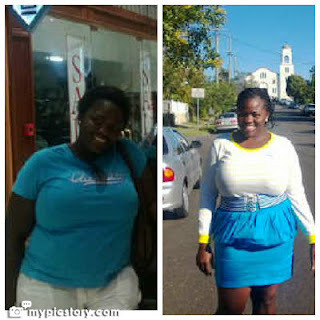 What advice will you give others trying to lose weight? Find a support group that promotes healthy eating. The ladies on WLB are now some of my best friends. A good group does not allow people to set unrealistic goals, or promote diet pills and terrible eating patterns. Just keep pushing, it did not take a day to gain the weight, so it sure can’t take a day to get rid of it. Thanks for sharing your story, I hope this motivates a lot of people because am motivated …..